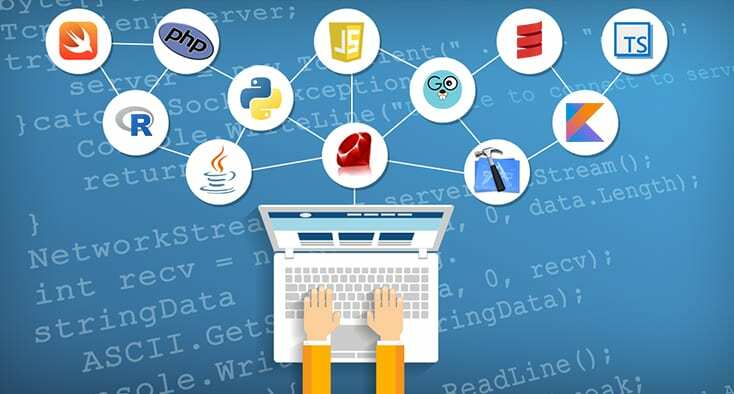 If you are learning programming languages currently or you have decided to take up programming as your profession, you should keep track the trends in the programming language world. The popularity of the programming languages keeps changing every year. We have seen the fall of epic programming languages and the rise of the new programming languages within a year. The year 2018 is towards its end and therefore, you have to follow the trend to understand the programming languages you need to watch out and learn for a better career in the future. If you do not keep yourself updated, you are sure to fall into the programming world. Python – Among the backend programming language, Python’s popularity is rising exponentially. Therefore, new programmers prefer to learn Python more than Java even though the job demand for Java is more than Python. Python is the future as it finds application in machine learning and artificial intelligent both of which are buzzing right now. Apart from those, it is also useful in IoT, data science, game development, and various such important sectors. The pay for Python developers is higher than most other popular languages. Java – Java is still one of the most demanding programming languages. In fact, the new programmers omitting C and C++ now and learn Java straight away. Therefore, it has become a preliminary programming language that you must know. There are robust frameworks available like Spring, Struts, Hibernate which are being used in the industry for various types of software application development. Moreover, Java is must for developing Android apps which is now an essential thing for companies. Ruby – Due to the rise of Python, the popularity of Ruby has been masked. But, in the corporate world, there is an equal demand for Ruby as Python. You will find various heavy web applications making transitions from PHP, Java and other to Ruby as much as they are for Python. If you want a high-paying job in future, Ruby is a must learn and Ruby is closely associated with Rails which is a framework. If you want to learn something different from the rest, Ruby on Rails should be at the top of your list. R – R is a specialized programming language, and you can learn it in your spare time and get its benefits in the future. It is already a popular programming language that is used in data analysis. The growth of a company or its product and services is not possible these days without proper data analysis and reports. This programming language is developed by the statisticians and scientists for their needs, and therefore, it is a sustainable programming language. Moreover, many programmers are opting for R over python for machine learning development. With the companies running after data analysis to make their business decision, R is a programming language to watch out for in the year 2019. Go – When Google builds something, and it gets popular, you know it is going to be a blockbuster. There are many who believe that after Java and Python, Go will be the go-to language in the programming world. The current year has elevated its use and the next year is likely to be the breakout year for the programming language. In fact, Google may make a transition to GO for many of their products and hence, the popularity and application of the programming language will be widespread in the coming year. Apart from these, you should know the name of the potential programming languages that will breakout in 2019 and they are Rust, Elixr, Kotlin, Elm and Crystal. Do remember these name because, by this time next year, you are going to hear about them a lot.